A Natural Lands Preservation Advisory Board member discouraged the preservation of Horse Gulch at the board’s meeting in the library last week. Board member Ed Zink, the owner of Mountain Bike Specialists, spoke in favor of installing a bathroom in Horse Gulch and against the preservation of the natural lands there, in response to this blogger’s petition asking the board to manage the open-space lands of Horse Gulch in a more primitive manner. Zink erroneously said that this blogger favors restricting or eliminating the access of people from Horse Gulch. Cuchillo and Mikes Trail are raw and rugged with banking turns that are accentuated by some benign erosion effects. This blogger presented a petition to the Natural Lands Preservation Advisory Board of Durango, asking them to save what’s left of ‘primitive’ in Horse Gulch. A vault-toilet bathroom does not make sense at the trail head to Horse Gulch due to there being no environmental need for it. 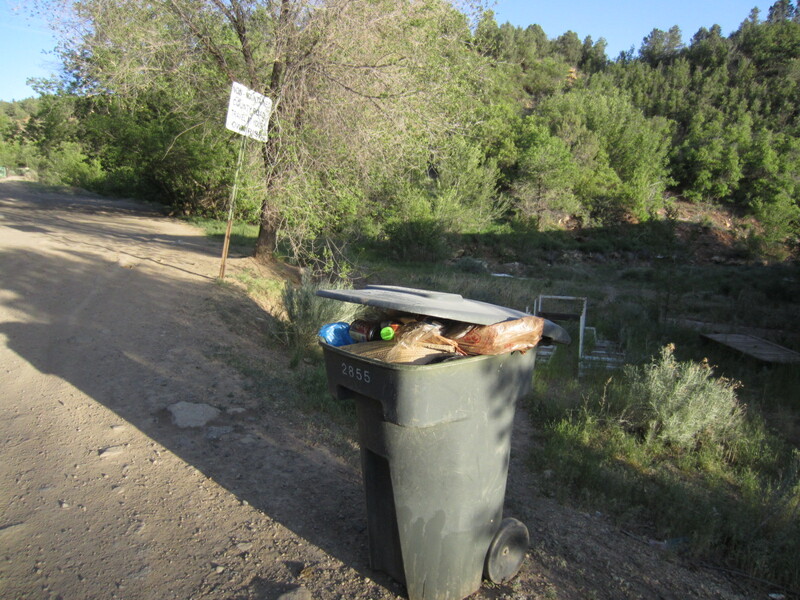 A dumpster, on the other hand, would meet the demand that currently is overflowing out of this residential-sized can that’s allocated for people using Horse Gulch. Not to mention the piles of trash left behind by the local homeless population. “I don’t think that’s what we ought to be doing here. I think we need to be managing this stuff and looking at this from the 30,000-foot view, not just trying to keep these snapshots in time, which is a bit like the river, when people say ‘I want my fishing hole left alone’,” he said. “We can’t operate that way if we’re going to have this many people on earth,” said Zink. This blogger would counter that the audio and visual solitude that Horse Gulch provides is a benefit to the human spirit and this community. Horse Gulch will be changing constantly, but the preemptive development of amenities (bathrooms) based on an overestimated demand for them is the ideology of a cancer cell. In an effort to slow this tumorous cist of needless growth, this blogger drafted a petition to save primitive Horse Gulch, or more realistically, what’s left of its primitiveness. Signed by myself, six other locals, and a hundred or so people from around Colorado, the U.S. and the rest of the world, this petition was created in the context of the rerouting of Stacy’s Loop and the heavy-handed trail signage that’s been occurring there lately. 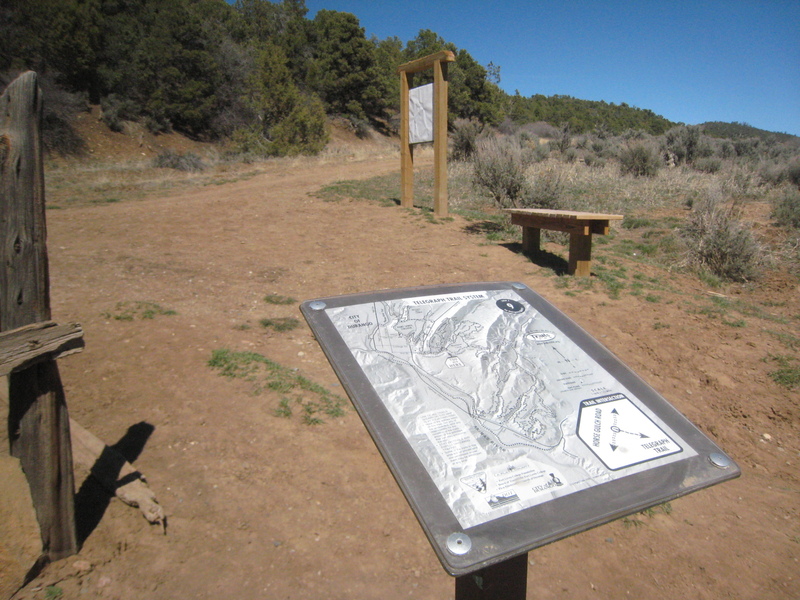 Most recently, an increasing amount of trail signage has been placed in Horse Gulch at numerous trail intersections. 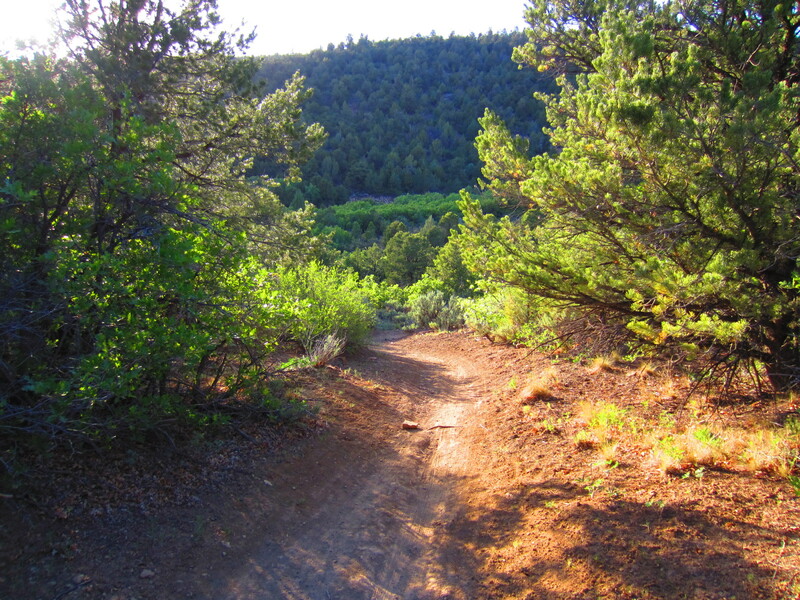 As part of the petition, this blogger asked the Board to keep trail and amenity signage in Horse Gulch to a minimum. Two signs in Horse Gulch with the same map on each one, within feet of each other. Except the large one in the background has faded completely and currently serves no function. 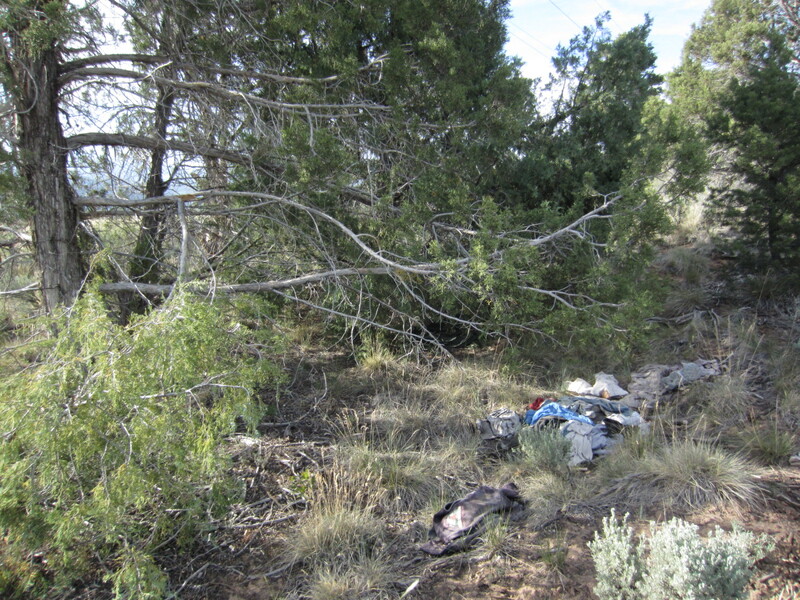 A dumpster for people to put their trash in at the trail head would make a lot more sense than a bathroom, given the demand and environmental need to preserve the natural and primitive character of Horse Gulch. Board member Mark Smith said that the board is tasked with trying to put some reason in place with regard to the development of Horse Gulch. Both Smith and Board member Connie Imig agreed with this blogger in saying that if amenities are built in Horse Gulch to remember a loved on by, that they should be made with materials found on the surrounding landscape, and not imported.